Myrtle (Warder) Morgridge 100 years old, passed away February 2, 2019 at Grandvue Medical Care Facility. She was born November 29, 1918 in Portland, Michigan to John and Margaret (Thurston) Warder. Myrtle graduated from Portland High School and married Robert Morgridge on March 21, 1936. They had two sons, Bob and Michael. Michael passed away in 1979. Myrtle was a devoted homemaker while her children were growing up. In 1962, she and her husband moved to Lansing, where she worked twenty years as the assistant manager for Baryames’ Dry Cleaners. After retiring in 1982, Bob and Myrtle returned to Portland where Bob passed away in 1984. A few years later Myrtle and her special friend, Bob Estep, moved to Placida, Florida. They spent summers in Charlevoix. After Bob Estep passed away in 1998, Myrtle moved to the Pine River Place in Charlevoix. In 2007 she moved to Grandvue in East Jordan. Myrtle is survived by her son Bob (Mary Ellen); their sons David (Carrie) of Hailey, Idaho; Dennis (Robin) and their children Emily, Shelby and Ben of Highland, Michigan; Jeff (Lenore) and their children Emmet and Quincy of Moraga, California; and Jim and sons Robby, Alex, and Douglas of Charlevoix; Michael’s two daughters Lisa (Steve) Spetoskey and their children Stevie, Anthony, and Lexie; Teresa Leonard and her children Bob and Becca; Margaret, the wife of her late brother Terry Walder, and their children Donna, Jack, Julie, and Amy. When she was younger, Myrtle enjoyed golf, sewing, and crafts. She was a talented artist, whose paintings are shown on many walls. 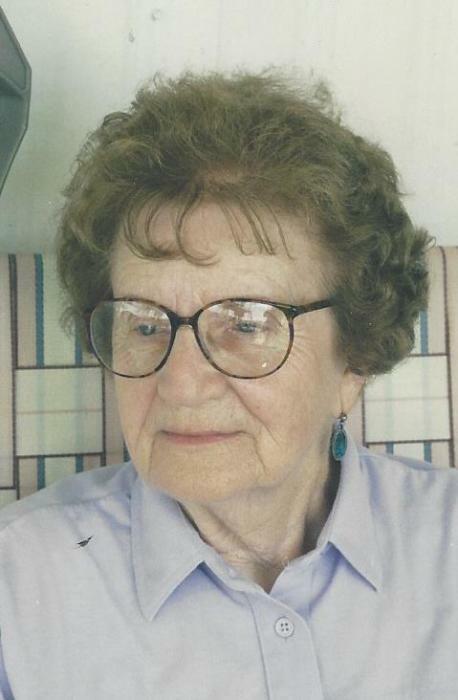 She was always an avid card and bingo player and she loved to read and watch the Detroit Tigers. She was a member of the United Methodist Church of Charlevoix. During her stay at the Pine River Place and Grandvue she was a friend to all and will be dearly missed by her family and all who knew her. A memorial service will be held at Grandvue on Wednesday, February 13, at 2 p.m. with pastor Russ Peck officiating. Memorial contributions may be made to the Grandvue Medical Care Facility, 1728 S. Peninsula Road, East Jordan, MI 49727.